Planning your wedding reception playlist can be stressful, especially when all the songs requested by your guests have been overplayed or everyone only knows the words to the chorus. A simple solution is to ask your local Perth wedding DJ to play the remixed versions instead. This allows everyone to get the song choices they want, and ensures the dance floor is pumping away all night long. Here are a few of the best remixes released in the last two decades. While Outkast’s “Roses” is a sure crowd pleaser, the first big hit for the band would have to be Ms Jackson. San Holo’s version keeps true to the original version, and adds a modern, musical twist. Well known DJ Tiesto turns John Legend’s slow burner on it’s head. 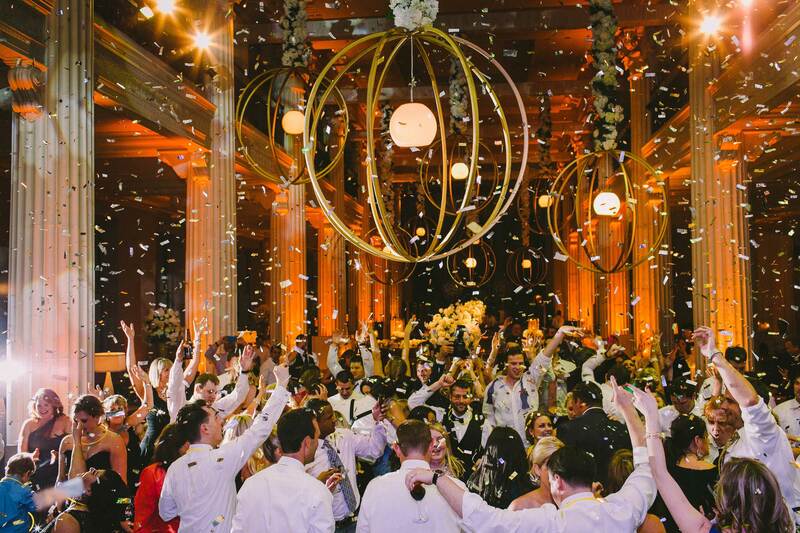 You could have the original as your first dance, then get your Perth wedding DJ to swap it halfway through into this upbeat dance number to ensure the whole reception joins you on the dancefloor. Lana Del Ray is the epitome of alternative, heartbroken, pop goth anthems that leave you unsure of whether you want to cry or dance. RAC’s remix leans towards the latter. Bruno Mars always gets the crowd on its feet, but this remix by Cash Cash will have your wedding reception guests burning holes in the dance floor. The original was released almost a decade ago, and was a great dancefloor hit in itself. This remix is a fresh take on La Roux’s electric pop hit, to prevent anybody complaining of it being overplayed. This popular dance anthem is actually a remix of OMI’s original reggae fusion number that record producers let two DJs remix. Here you have the outcome of their very successful experiment. Again, this popular hit had very different beginnings, starting out as a slow acoustic version by Mike Posner before Seeb transformed it into the upbeat dance hit we all know and love. This is a throwback to everyone’s teenage angst years, but with an upbeat twist. It’s the Green Day anthem you love, but made into a dance number. For another nod towards those teen-rager days, nothing says high school nostalgia more than Sum 41. However, this head-banger now comes as an upbeat remix that will have your wedding guests jumping along like they were back in their bedroom. Bastille’s song are typically emotional power ballads, and their hit Pompeii is no exception. Audien plays with the big moments in the song, and livens it up so that you will be fist pumping with the rest of the guests. Halsey is one of the most popular electro-pop artists at the moment; her song colours was another successful chart topper. Audien’s remix creates a fresh, upbeat take on the popular song to avoid any complaints of overplays. Lesser known British pop singer Foxes is slowly gaining in popularity. While this remix is a little more dubstep than the grandparents might be used to, it’s a perfect track for your wedding DJ to throw on towards the end of the night so everyone can start breaking out their more eccentric dance moves. From the album that won Adele six Grammy Awards, including Album of the year, there aren’t many people who haven’t heard this power ballad. Marshmello changes this heartfelt number into an upbeat dance hit that you are still able to belt out the lyrics to! Majestic Wedding Djs are a Perth wedding DJ hire company that can help ensure your wedding day music isn’t outdated. Majestic Wedding DJs are known for their triple J playlists, young team and excellent music taste. For more information about our pricing and wedding packages, feel free to get in touch.